On May 18, legendary singer, songwriter and musician Paul Weller released his new album, Saturn’s Pattern and will tour the United States in June before returning to Europe for the summer festival season. 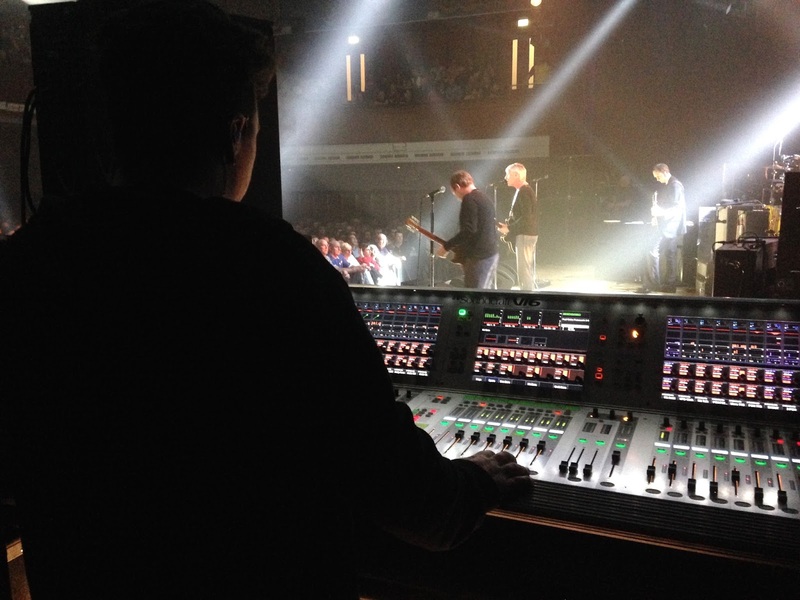 Since January, Weller’s monitor engineer Samuel Manigley has used a HARMAN Soundcraft Vi6 digital mixing console, with SSE Hire supplying the board. Weller’s current touring band is comprised of six musicians in total (including Weller), with a second drum kit having been added to the instrumentation in January. “Paul Weller’s concerts are sensational and he has such a varied back catalog of songs, from great guitar tracks like Peacock Suit to beautiful piano-driven tunes like You Do Something to Me,” Manigley noted. Along with the Vi6, Manigley has a 64-channel Soundcraft Vi Stagebox, plus a Compact Stagebox for additional inputs. “It’s 64 inputs just from the band on stage so we needed some extra room and the Stageboxes have worked out great,” he said. Manigley became familiar with—and fond of—the Vi Series consoles last year while mixing monitors for Courtney Love’s academy tour. Manigley found exclusive features like the Vistonics™ II control interface and FaderGlow™ fader illumination technology set the Vi consoles apart from other desks. “The Vi consoles give you everything you need in a digital desk, but they also hold massive analog principle—everything is in a linear format and very intuitive,” Manigley said. “I’m hoping to be able to use a Vi3000 later this year and as much as I love the Vi6, I know the Vi3000 will be even better!"